Koger Cosmetic Clinic & Medspa offers Juvéderm Voluma® for men and women in Palm Beach County, including West Palm Beach, Vero Beach, Wellington, and the surrounding areas of Florida. The cheek area undergoes changes as part of the aging process. Fat loss, fat shifting and skin laxity are the most common reasons why people develop a sunken appearance in the cheek area. Juvéderm Voluma® is an injectable treatment that restores volume in the cheeks and mid-face area. The product contains hyaluronic acid that binds with water molecules. Juvéderm Voluma® is packaged in syringes with small needles. A single syringe is used only for one patient. Small amounts of the gel are injected into the cheeks at multiple sites to produce a consistent and natural contour in the area. If you experience any discomfort from the injections, a topical cream can be used to numb the area. The effects of Juvéderm Voluma® last up to two years, at which time you should have a follow-up treatment to maintain the cheek contours. Juvéderm Voluma® is a minimally-invasive treatment, meaning that it only requires injections versus surgical incisions that are needed for cheek implants. No downtime is needed, and the product works to restore volume immediately, followed by gradual improvements as the hyaluronic acid increases water volume in the skin. 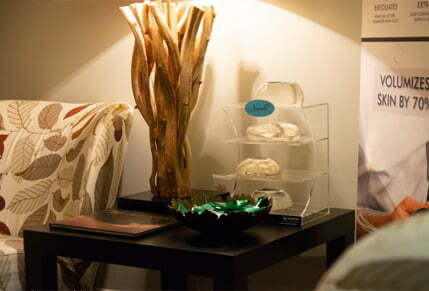 The treatment also gives the skin a smooth, supple texture and appearance. The best candidates for Juvéderm Voluma® are men and women who have sunken cheeks due to aging or naturally thin and hollow cheek areas. The aging process may affect the cheeks starting in the mid-30s, but this varies by individual. You can resume your normal activities after a Juvéderm Voluma® treatment. No downtime is needed. Common symptoms after the injections are minor swelling and tenderness that can be alleviated with cold compresses applied gently to the area. You should not put pressure on the area until the gel has settled into the tissues, which takes one to two days. The cost of Juvéderm Voluma® injections varies, so we are best able to discuss this information after the consultation with Dr. Koger. In the meantime, you can review our financing options that may allow you to make affordable monthly payments. 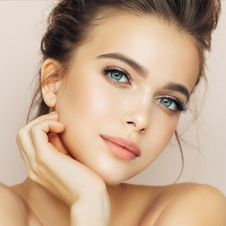 Dr. Koger is a board-certified plastic surgeon who offers Juvéderm Voluma® for residents of West Palm Beach, Vero Back, Wellington, and the surrounding areas of Palm Beach County. Contact us to schedule a consultation.